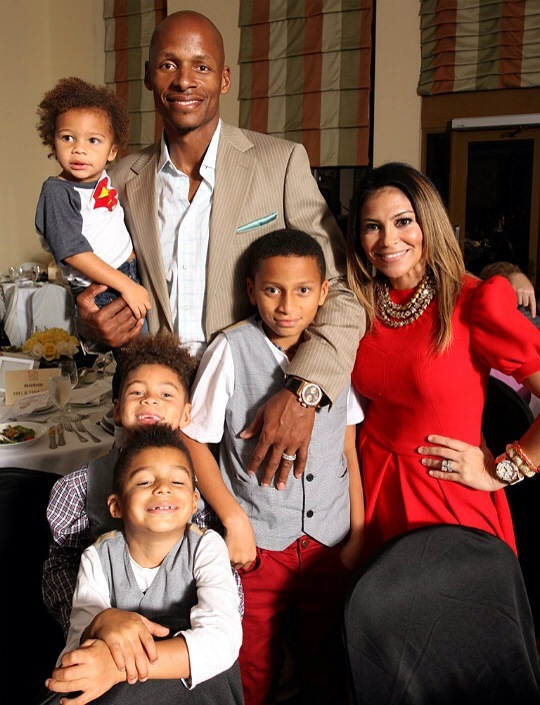 Last week, eight teenagers (ages 18-19) broke into former Miami Heat star Ray Allen’s Coral Gables home while his wife and children were home alone sleeping. The teens had the audacity to roam their entire house, which resulted in his wife, Shannon, being frighteningly awakened to a group of men standing in her bedroom with flashlights! The free agent and his wife were furious with the way the police were handling the investigation. At first, the Coral Gables Police Department decided NOT to press charges against the teens and simply characterized the incident as a silly prank. Was it because these were rich white kids? Cause we all know what would have happened had it been kids from another race…but that’s for another post. According to Coral Gables police spokeswoman Kelly Denham, the authorities decided not to press burglary charges because there was no forced entry, no intent (nont sure how they came to that conclusion other than them assuming because they “live in the wealthy neighborhood” they couldn’t possibly steal things) and nothing was taken. I n Florida, long as you don’t force yourself in someone’s house and don’t take anything…you won’t be punished if you still enter without permission? Ok.
“We want to correct the erroneous information being reported about the crime committed in our home this week. On Thursday morning at 2:30 a.m., my wife Shannon was awakened by loud voices in our bedroom where she had been sleeping with our four young children. “She heard male voices loudly discussing our personal property and sat up in a state of alarm to find at least five people inside our bedroom with large flashlights. She was immediately fearful for the safety of her own life, but more importantly the lives of our young children. When she screamed at them, the intruders quickly fled the scene and laughter was heard as they made their way out of our bedroom, down the stairs and out of our house. “As these individuals were fleeing our house, Shannon immediately called security and the police for help. Shannon and I believe that a number of the public statements made through media outlets have mischaracterized certain important facts and what we believe to be the seriousness of this potentially devastating invasion upon our lives, home and family,” Allen said. It wasn’t until Ray and his wife spoke out about the lack of the police department doing anything were charges decided to be brought up. Now the eight teens are facing misdemeanor trespassing charges. The Allens also have decided to press criminal charges. They made a visit to the state attorney’s office yesterday and have provided statements regarding the incident. Had Shannon busted a cap in one of them, best believe she would be facing some type of criminal charges right now….